I grow climbing peas and beans in pots. Their rambling vines wrap around upturned tomato cages and provide a sculptural dimension to the garden through two or three growing seasons. Pot gardening is a handy way to deal with weather conditions since I can start the peas in pots at nearly any time past winter, moving them around to obtain the best light conditions. 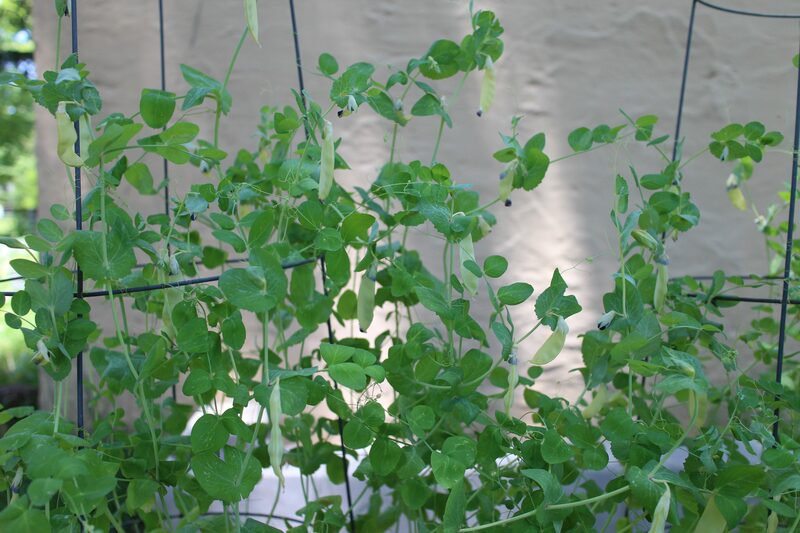 That might mean starting peas early in the full but weak sunlight of spring, or late in dappled shade out of the early summer heat. The other advantage of pot growing is the avoidance of rabbits, which can devour an entire crop when your head is turned, even just for a minute. Here, I scattered steamed yellow peas over sliced pale yellow potatoes. I added a few drops of white vinegar and salt to the potatoes as they were cooling, and then dressed them with a drizzle of olive oil. 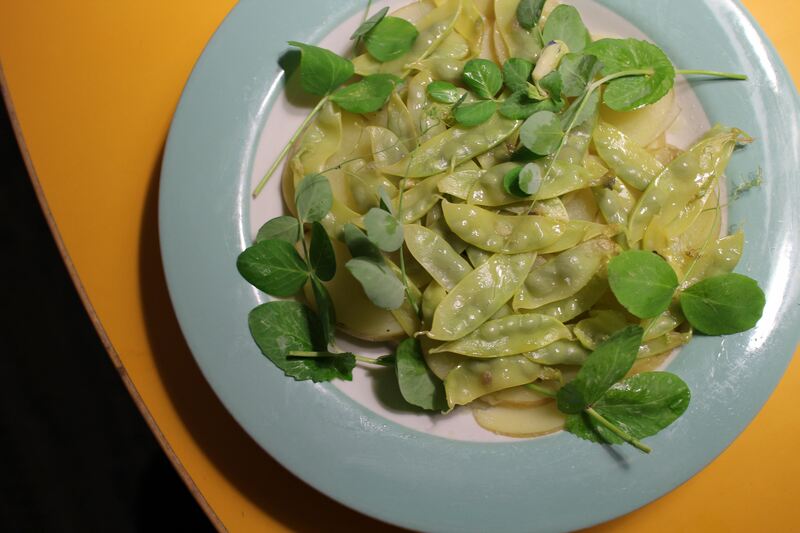 Garnished with pea shoots, this seasonal salad is simple and refreshing.